What Day Of The Week Was December 31, 2018? 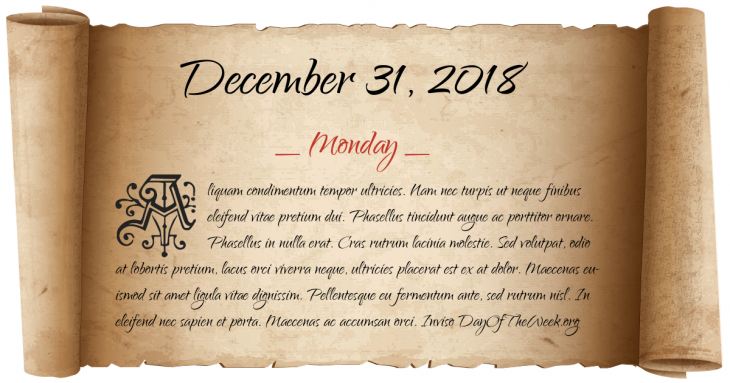 December 31, 2018 was the 365th day of the year 2018 in the Gregorian calendar. The day of the week was Monday. Here’s the December 2018 calendar. You can also browse the full year monthly 2018 calendar.